In the past few months, I have had two occasions on which I have been on Real Ale Rail Trails. The first was a birthday celebration of a young lady, very active in the local CAMRA scene and shameless promoter of real cider, who for reasons probably best left to herself, wishes to be referred to as Madame Hoplash. The second was a stag do, certainly amongst the best-behaved and least-wild that I have ever been on. 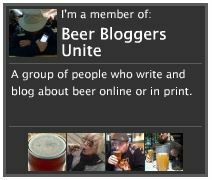 More about those in later blogs. For now I’m going to concentrate on the first pub we went in on each occasion. This is not as random as it seems, because both are pubs which actually stand on railway platforms. Millstone Tiger Rut, a golden ale with an ABV of 4.0%. It is a pale yellow in colour, and my pint, it must be admitted, was somewhat murky. Nevertheless, there was nothing at all wrong with it. It’s very smooth with distinct citrus and hops notes and a hint of pithiness. It’s very good and somehow manages to be sweetish and yet bitter at the same time. Partners Ghost. Another golden ale, slightly stronger at 4.5%. The colour can only be described as yellow, at least by me. Another smooth beer with an interesting underlying graininess. There’s a nice hop finish to this one, and I found myself enjoying it. Hornbeam Galaxy Pale Ale is a pale ale (it’s a very pale yellow, so the description is accurate!) with an ABV of 4.1%. This beer was highly carbonated, so I assume it’s had a good old secondary fermentation in the barrel. The taste starts in a slightly pissy way (sorry to be indelicate, but you probably know what I mean) but develops quickly to be very hoppy and very bitter. Despite the unpromising start (which fades after a while anyway), this beer is very enjoyable and worthy of your attention. Greenfield Four Hop One – a 4.1% golden. Unfortunately there were very distinct chlorophenol flavours in this beer, so I didn’t progress beyond the first couple of sips. This disinfectant or TCP taste is usually caused either by cleaning fluid being left in a pipe somewhere (either in the brewery or in the pub), or the brew could have been infected by a wild yeast. Either way, it’s unlikely to recur, so I’ll be trying this one again. Millstone True Grit is a strong ale at 5.0%, again yellow (no dark beers were on at this time). The first thing you notice about this beer is its excellent mouthfeel. Full, smooth and a little chewy. There’s something wonderfully mellow about True Grit, in the way that only stronger beers can manage. Whilst remaining smooth and mellow, there is also plenty in the way of hops and bitterness. 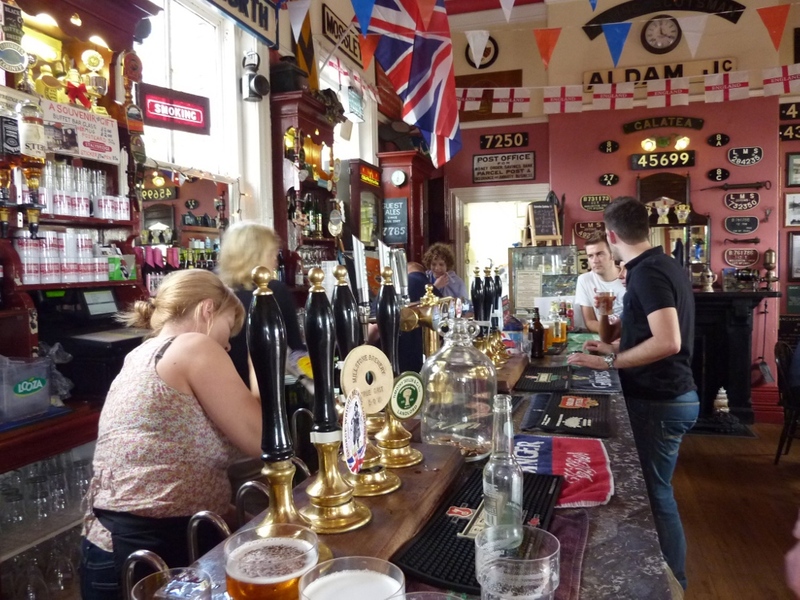 The platform pub visited on the stag do was the Trackside on Bolton Street Station in Bury. This station is on the East Lancashire Railway, a track run by rail enthusiasts from the East Lancashire Railway Preservation Society. They have some magnificent old engines (diesel and steam) and carriages, and a dedicated Rail Ale Trail. 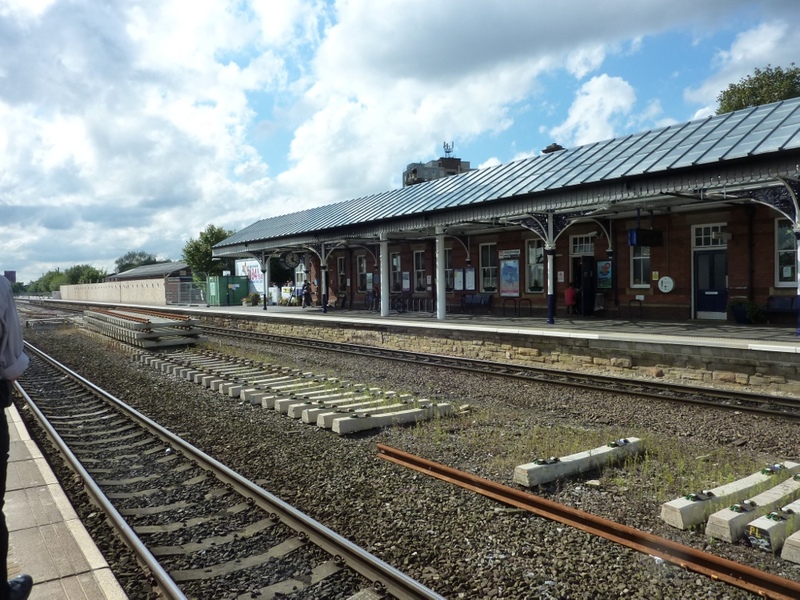 The Trackside is a very similar dimensioned building to the Buffet Bar, buildings on railway stations tend to be long and thin. The bar in this case is along one of the short walls, but still bristles with nine ever-changing handpumps. The bar gets a little more crowded here simply because it is shorter. 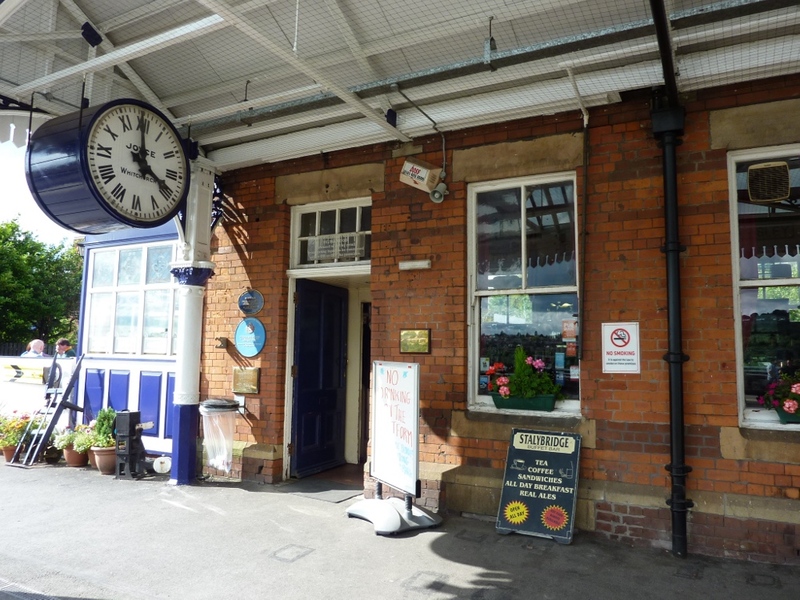 Unlike the Stalybridge Buffet Bar, the outside seating area is actually on the platform. The bar featured beers from local and local-ish brewers; Timothy Taylor Landlord, York Minster Ale, Phoenix Flash Flood amongst others. I started with a Riverside Green & Black, a 4.5% stout. It’s a lovely deep red in colour with a stable head. The mouthfeel is smooth. There are flavours of smoke and a very slight hint of soap. Perfectly drinkable but not terribly flavoursome. There were two beers from Sheffield brewer Bradfield. I tried their Farmer’s Stout first. Again, the beer has a nice deep red colour. The flavour is non-smoky with a spicy undertaste that I’m afraid isn’t too successful, at least not for me. Bradfield Farmer’s Blonde, on the other hand, I found to be excellent. A 4.0% blonde beer (quelle surprise), it pours a pale yellow colour with a white head of tightly packed tiny bubbles. This one is very smooth, with a luscious mouthfeel that is almost creamy. There’s something of cream in the taste, too, and there’s a delightful bready aftertaste. In conclusion, both these pubs are worth going out of your way to visit. Both feature a good wide range of beers, often from smaller and less well known brewers. The Trackside is not on the national railway system, but is an excellent starting point for the East Lancashire Rail Ale Trail, about which more later. 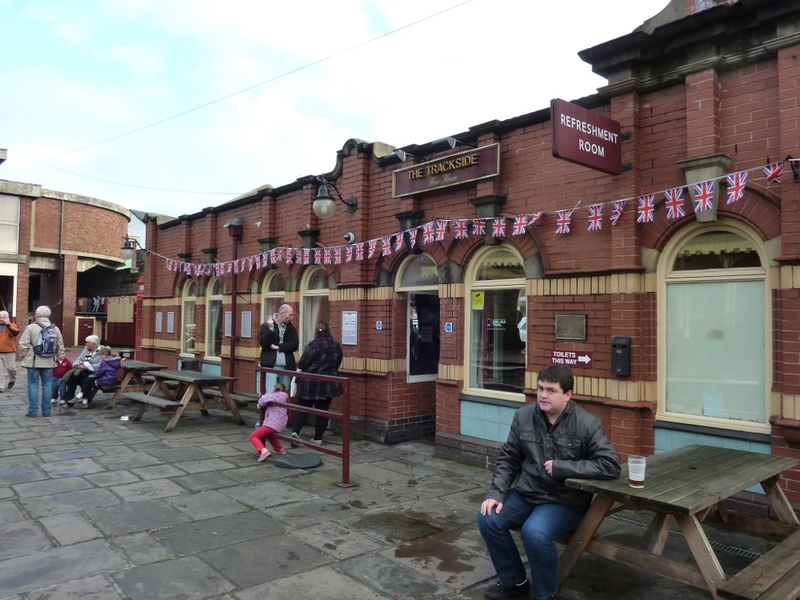 The Stalybridge Buffet Bar is on a national station, and you can hop off here and straight into the pub. You won’t even mind if you miss your connecting train.